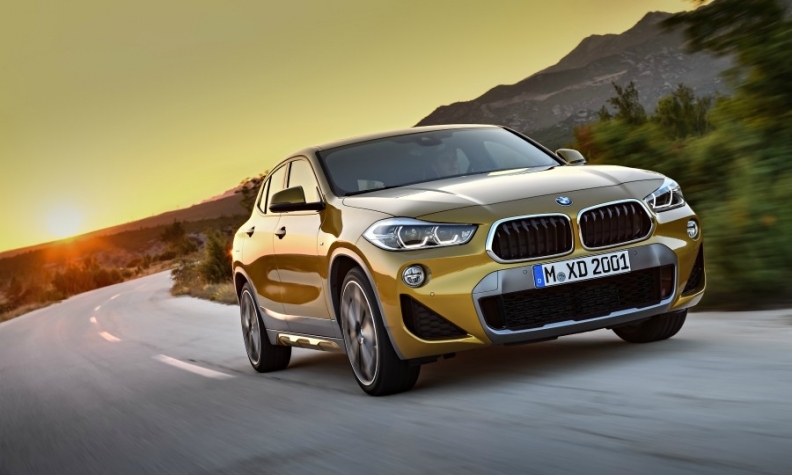 BMW's X2 has the low-slung looks of a coupe combined with practicality such as easier entry and a higher seating position. BMW Canada hopes its new X2 will appeal to active, younger car buyers looking for a uniquely individual car when it launches its first lifestyle crossover next March. The X2 will enter the booming market for compact SUVs designed for urban environments. It has the low-slung looks of a coupe combined with practicality such as easier entry and a higher seating position. "The X2 appeals primarily to a young and young-at-heart, urban and active target group, who are keen to see their personal character reflected on the road through an emotionally-engaging car," BMW said in a statement when it introduced the vehicle in Europe earlier in the day. In a departure in design from the brand's corporate identity, the X2 has BMW's signature kidney grille turned upside down for the first time. The carmaker says it gives the vehicle a broader, more distinctive and sportier appearance. The SUV has the same wheelbase as the X1 but it is lower and slightly shorter. The shorter length also reduces the overhangs to give the vehicle a more athletic stance. The BMW X2 comes standard on 19-inch wheel Y-spoke wheels in Canada and has optional 20-inch Y-spoke wheels. Customers can also order 20-inch rims on M Sport and M Sport X models rather than the 19-inch standard wheels on those models. Inside the car, customers can opt for a larger 8.8-inch freestanding navigational control that also has a touchscreen instead of the 6.5-inch screen, as well as a full-colour heads-up display. The X2 can also be ordered with adjustable dampers, including a 10-mm reduced ride height, that offers a Sport mode for chassis tuning. BMW also will offer its Connected+ online services, which will include its new "Share Live Trip Status" that allows drivers to share their current location and time of arrival with friends, family or business partners. The X2 will have its public debut at the Detroit auto show in January.